The NJSBA Delegate Assembly on Saturday approved an expanded policy on school security, calling for “meaningful and uniform laws governing access to firearms” across the country including stringent background checks. The policy also calls for state and federal funding for school security enhancements and “inter-agency collaboration” to improve delivery of mental health services. The new policy was proposed by the NJSBA Board of Directors in the wake of the Parkland, Florida school shootings in February. It was approved by 87 percent of the 148 delegates in attendance at the Delegate Assembly on May 19, the day after another school shooting, this time in Santa Fe, Texas. NJSBA has long addressed school security and student safety through research, policy and training. Efforts have included a major report, What Makes Schools Safe?, issued in 2014 after a year-long study that followed the Newtown, Connecticut school shootings. The Association was also represented on the state’s School Security Task Force, which issued its report in 2015. Under its new policy, NJSBA has “unequivocal authorization” to advocate on proposed enhancements and changes to laws governing firearms access, according to research on the proposal provided to the delegates. The policy also reflects findings of NJSBA’s 2014 school security report. The delegates adopted the policy after a lively debate and discussion, including consideration of proposed amendments, one of which would have added specific language calling for a ban on assault weapons and high-volume ammunition cartridges. Ultimately, the delegates opted not to cite specific types of weapons in the policy and adopted the language proposed by the Board of Directors. 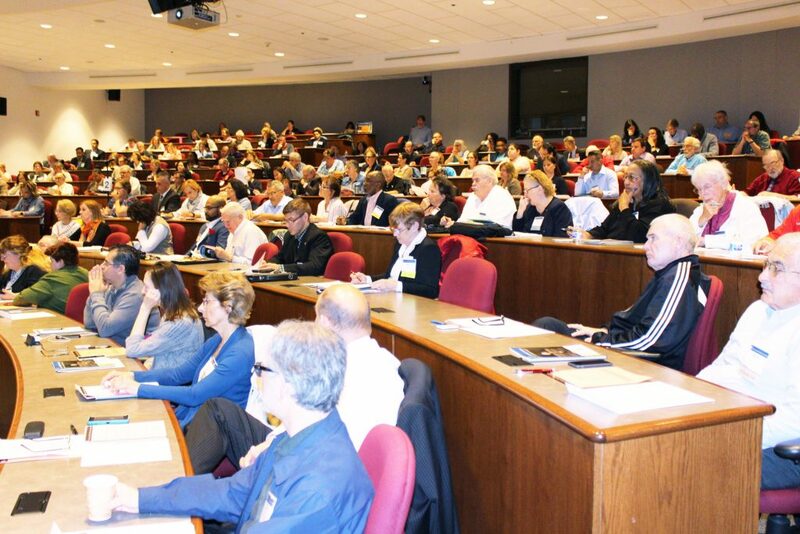 “…broader policy language focusing on the prevention of gun-related and other violence in the schools would give NJSBA unequivocal authorization to address all legislative proposals related to gun control, including firearms access and background checks,” states research provided to the delegates. 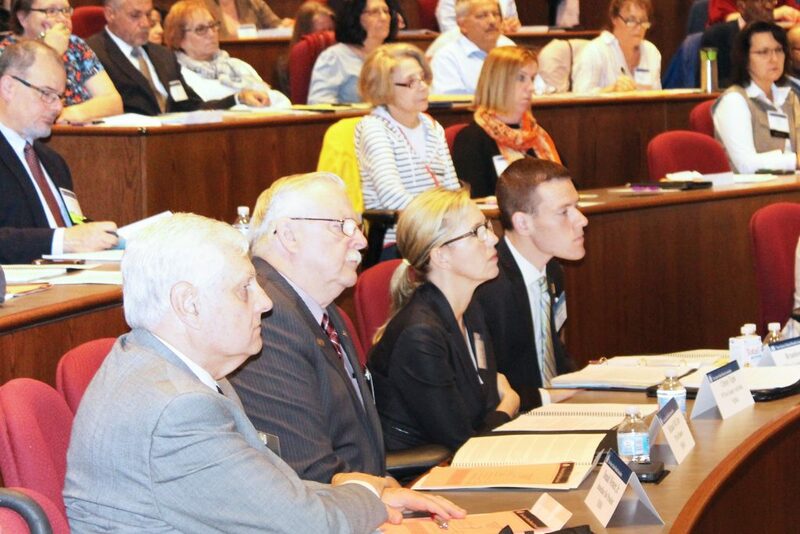 “The original language speaks to the fact that we want to take action,” said Irene LeFebvre, Boonton Town delegate and NJSBA Board of Directors member, during the discussion. 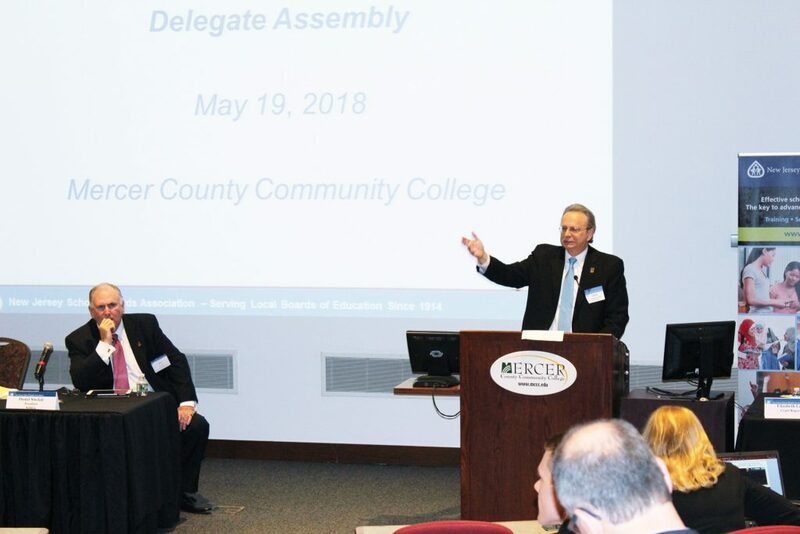 In other business, the Delegate Assembly approved a resolution, submitted by the Chesterfield Township Board of Education, which addresses a provision of New Jersey’s school funding formula that has led to the under-aiding of many of the state’s school districts. “The NJSBA believes that school districts should receive state aid based on the school funding formula in current New Jersey statute, without predetermined growth limits, and calculated based on the most recent and available student population statistics,” states the new policy. The Delegate Assembly, which meets twice a year, is the major policy-setting body for the New Jersey School Boards Association. Delegates are representatives of the state’s public school boards. Policies adopted by the delegates guide Association advocacy before the state Legislature, Congress and the courts. 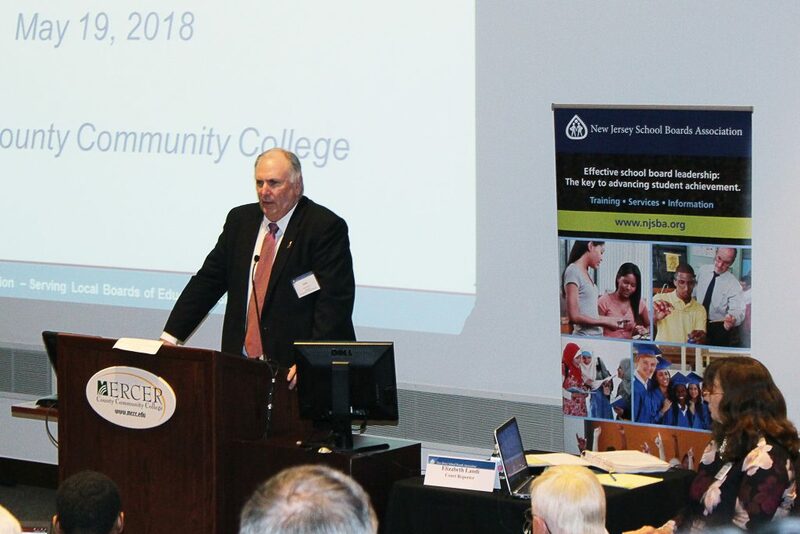 NJSBA President Daniel T. Sinclair presided over the semi-annual Delegate Assembly, held on May 19 at Mercer County Community College. NJSBA officers take part in the Delegate Assembly. Pictured (l-r) are Immediate Past President Donald Webster, Jr.; Vice-President for Finance Michael McClure; Vice-President for County Activities Christy Tighe; and Vice-President for Legislation/Resolutions Brandon Pugh. Nearly 150 delegates, representing school boards from 20 of the state’s 21 counties, took part in the Delegate Assembly.